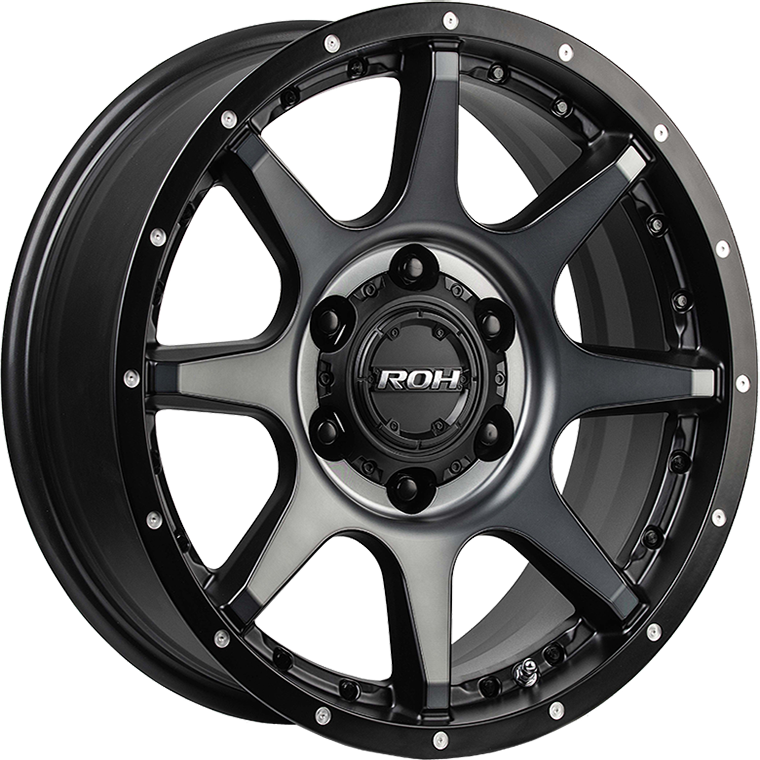 The all new ROH Trophy 4×4 wheel comes in Matt Black Tinted Machined Finish with Black Anodised Aluminium Bolts. Ideal wheel for both recreational and commercial end-users. The all new ROH Trophy 4×4 wheel comes in Matt Black Tinted Machined Finish with Black Anodised Aluminium Bolts. Trophy is a next-generation deep-dish 8-spoke design enhanced with bright CNC milled features on the Matt Black Lip. ROH Easycleans® Matt Black Baked Enamel finish providing superior salt spray performance and anti-weathering durability making it an ideal wheel for both recreational and commercial end-users.